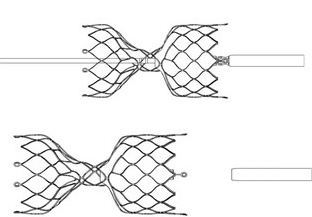 T his article evaluates a novel intravascular plug, the Hourglass peripheral embolisation device (PED). The use of this device is described, and its potential applications are discussed. In this study, the indications, success rate, and the procedure-related complication rate were recorded. The authors also evaluated the satisfaction of the operators with the device using a post-procedure evaluation form. As there were no procedure-related complications, it was concluded that the Hourglass PED is potentially useful for the embolisation of small-to-medium sized vessels.